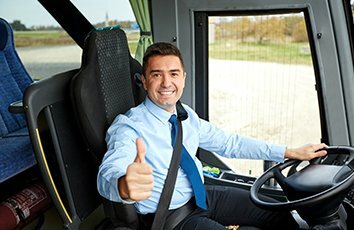 What makes Chesterfield Minibus Hire so unique? There is nothing more relaxing, safe, and comfortable than hiring a minibus with a driver to move you and your friends to Chesterfield or any other location in the UK. Why should you trouble yourself with driving when we can assign you to a professional driver specifically qualified for driving minibuses? Why don't you let us handle this part for you and your group of friends? With us, you will be able to be ferried to Chesterfield or any other location of your choice with comfort and safety. Do you want to have the best travelling experience that you will remember for long? Do you just want to sit back, relax, and enjoy the scenery as you are being ferried to your desired location? If this is the case, then look no further. We at Chesterfield Minibus Hire have a team of highly experienced drivers that are trained in defensive driving, meaning that you will reach your place of choice in one piece. Our drivers are highly disciplined, responsive, clean, and uniformed. They know Chesterfield and the surrounding areas based on years of experience. With us, you will not have to worry about matters to do with safety and comfort as you travel. If you want to discover Chesterfield, travel for a business meeting or rent a minibus for a wedding or any other social event but lack a driver, we at Chesterfield Minibus Hire are more than ready to assign you a comfortable car and an experienced driver that will suit all your needs. Our drivers are very sociable and polite. We encourage you to engage them as you travel. Feel free to ask them any transport-related question(s) or more about our company, and you will be answered in a professional manner.